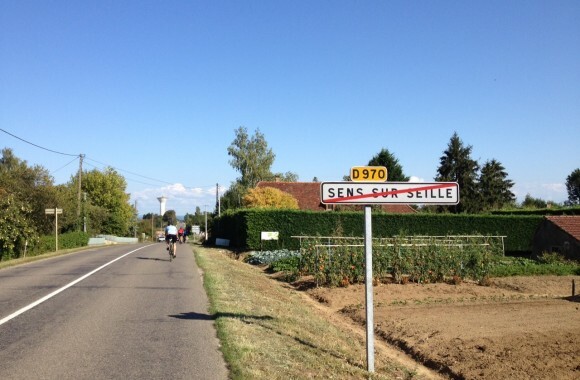 Elain Harwood – historian and cyclist extraordinaire – has sent back photos from her 521km cycle ride from Paris to Geneva, which she finished last night. 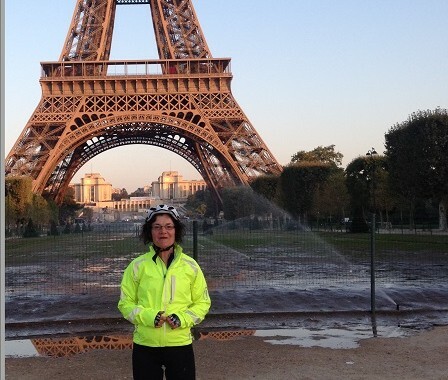 Her ride in aid of C20 journals started from the iconic Tour Eiffel in Paris. 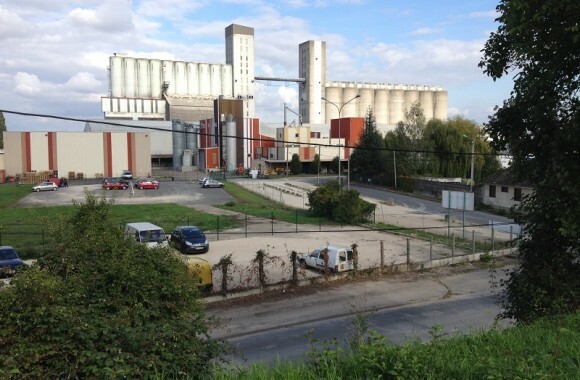 After 84 miles – and her first crash – she reached Sens, with silos reminiscent of the Shredded Wheat Factory. 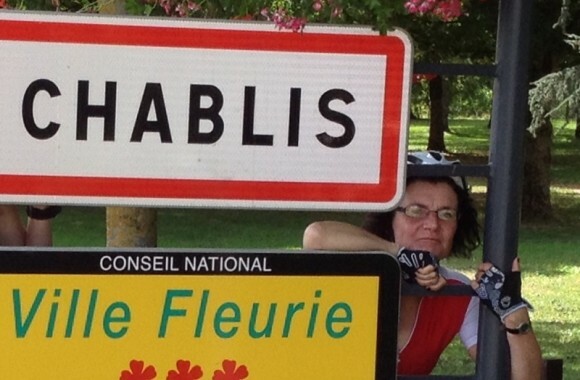 Day two brought another fall, but the compensation of a long lunch in Chablis to fortify her for a long day ahead. 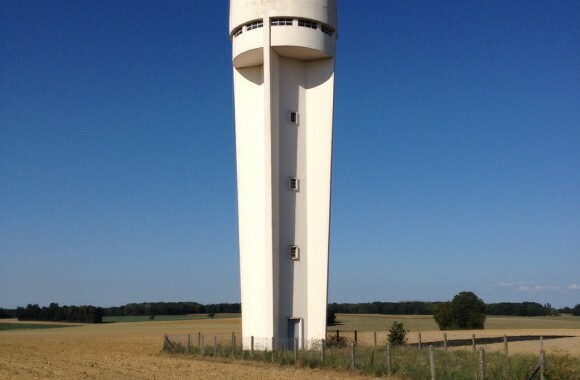 Much of the ride was short of modern architecture – many miles of cycling through rural France – but trust Elain to find an extraordinary building in the middle of nowhere! 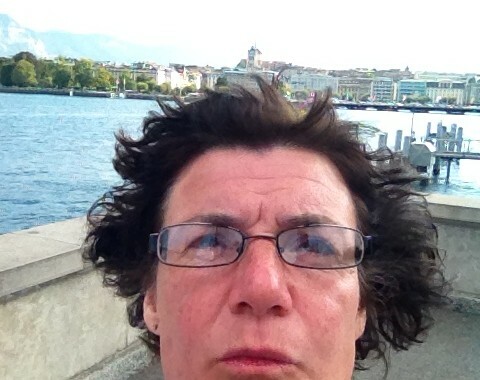 The last day brought a tough climb to the Col de la Faucille, at 1323 metres, before the last 20 miles downhill into Geneva, and a selfie by the lake. 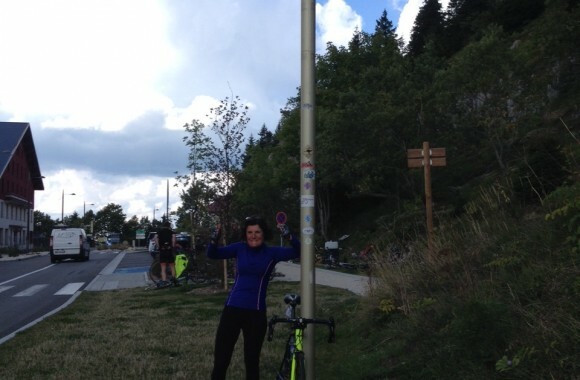 Completing such a long and challenging ride is a fantastic achievement and, thanks to many generous donors, she has already raised over £1,000 towards the next journal. Elain is extremely grateful for all the donations and messages of support she has received from members and friends. Her sponsorship page is still open for donations if you have not yet sponsored her and would like to contribute. 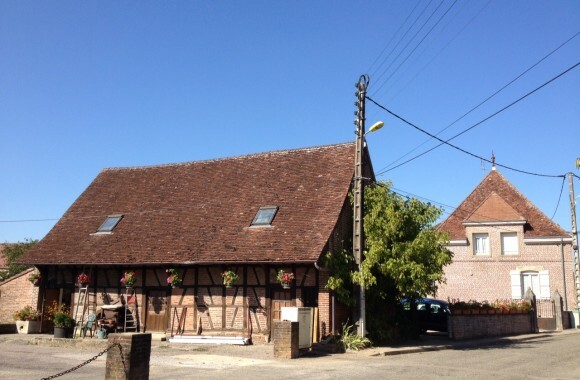 The funds raised will go to ensure that the next journal matches the excellent one on regional Houses, which has just been sent out to members.